This approach is featured in the groundbreaking book on culture – Build the Culture Advantage, Sustainable Performance with Clarity & Speed, planned for release this fall! Two of the world’s foremost culture experts are collaborating to facilitate this event! Ted Garnett is President and CEO of PS Culture Matters. He previously founded Performance Resources Consulting and was a consulting manager with McGladrey & Pullen LLP. He is the only consultant in the world certified in all three of the following: Return on Investment (CRP) through the ROI Institute, Six Sigma Black Belt for Business Process Improvement, and a Professional in Human Resources by the National Society for Human Resources Management. Ted is author of AccountaCution, Accountability into Execution – Tools for Tough Talks, Teamwork and Total Results, an award-winning speaker and a trusted advisor and consultant for clients ranging from small businesses to Fortune 500 companies. Tim Kuppler is founder of The Culture Advantage and led many organizations through major culture alignment efforts with a high level of involvement, teamwork and rapid performance improvement. Best practices from organizations he led are featured as part of the 2012 book – Leading Culture Change in Global Organizations. He built on this foundation as a business leader when he was President of Denison Consulting, a leader in organizational culture assessment and improvement that’s worked with over 5000 organizations. He formed The Culture Advantage to focus on the process for building a performance culture with clarity & speed. 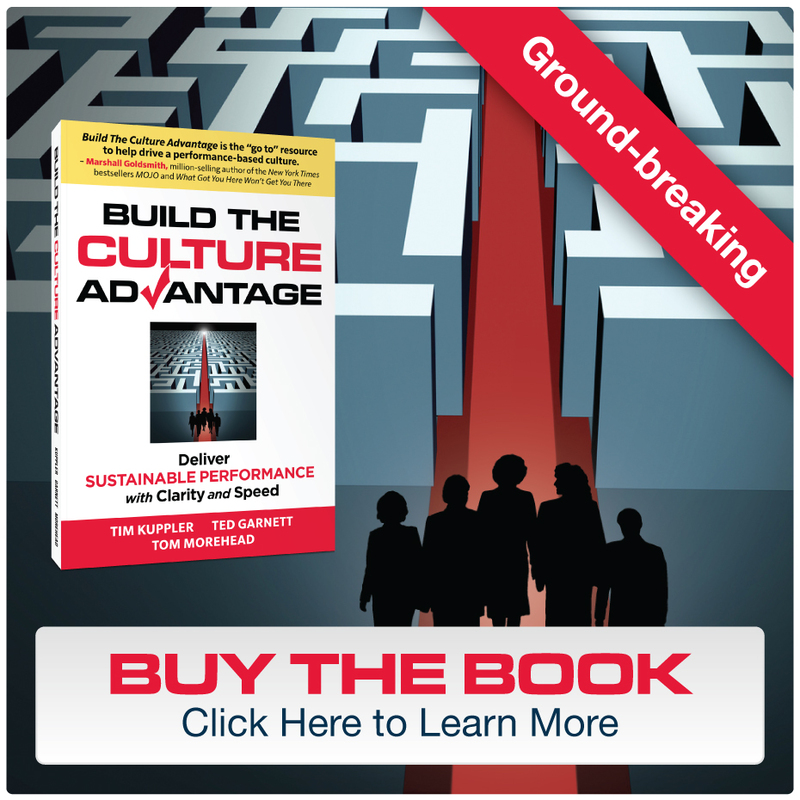 An Executive Summary of the 2013 book – Build the Culture Advantage, Sustainable Performance with Clarity & Speed. Planned for release October 1, 2013.